Welcome to the first installment of Fstoppers’ Gear Tuesday! Below, you will find the answers to last week’s questions, including great topics such as walk-around lenses, magnesium vs. plastic bodies and the future of APS-C.
1. Yuri: I am looking to purchase a "walkaround" lens for my Nikon D3200 - I want a single lens to use throughout an international vacation, mostly urban exploring. Which one of these 3 would you recommend? Hello, Yuri! 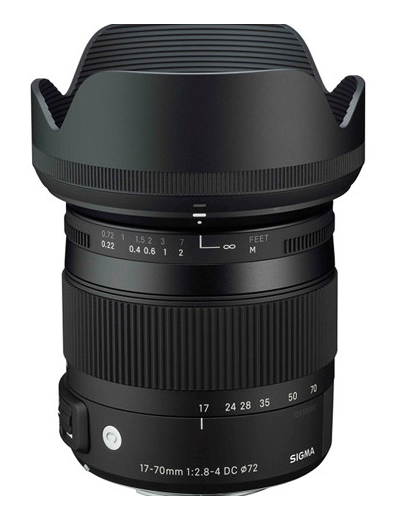 First, I would not recommend the Sigma 17-50 f/2.8. Personally, I find the focal range (25-75 mm equivalent) a bit short on the telephoto end for a travel lens; I generally prefer those to top out at around 100 mm in case I want to snap a portrait, or perhaps isolate an interesting building amongst a dense urban cityscape. In addition, that particular lens has some heavy coma, chromatic aberration, and vignetting, but most concerning is that it’s soft at wide angles near the maximum aperture. When shopping for a travel lens, it’s important to me that it be sharp at the wide end, as I find that to be the focal length I use most in such a lens. The Nikon 16-80 f/2.8-4 is an interesting lens. At $1,000, I find it rather pricey for a crop sensor lens; at that price level, you can get a nice full frame lens, which leaves the option of upgrading your body open as well. In addition, I love full frame lenses on crop cameras since the crop sensor only uses the center of the image circle, which means issues such as corner softness are automatically alleviated. In addition, this particular lens is known for less than stellar build quality and autofocus capabilities; I would expect both of these to be top-notch in a lens at this price point. Lastly, its center sharpness isn’t great until it’s stopped down and it only has 7 aperture blades; I would much prefer to see 8 or 9 rounded blades for better bokeh. I would recommend the Sigma 17-70 f/2.8-4. Its image quality is excellent in the center at the wide end, with decent edge sharpness that improves as one stops down. Distortions, aberrations and flare are all well controlled, while the optical stabilization and autofocus are both proficient and efficient. It does have some fairly moderate vignetting across its zoom range, but a quick adjustment with the lens profile in Lightroom will take care of that. I also think that its equivalent focal range of 25-105 mm is essentially ideal for a travel lens. Lastly, at $399, it’s a great value. Thanks for your question! 2. Kenny: What monolight would you recommend to work with a Sony camera that supports HSS? Thanks. Hi, Kenny! I need a bit more information; please leave me the model of your Sony camera in the comments and I can tell you more. That being said, Broncolor and Profoto have excellent offerings. Most people have had good luck with Pocketwizard TT1 and TT5 transmitters and Sony cameras. Thanks for your question! 3. Alice: Marketing and feel aside: Magnesium vs. plastic vs. hybrids. Some say plastic protects cameras better against big impacts and falls because it is flexible and absorbs the shock. On the other hand when it comes to smaller knocks and impacts, which happen regularly, magnesium can't be beaten from what I have heard. So, which is really best? Is a hybrid solution with both magnesium parts and plastic parts the best solution to this problem? Or is it still better to go all magnesium/all plastic? Alice, this is an excellent question. As you probably know, most consumer DSLRs are made of plastic, whereas professional DSLRs, such as the Canon 1D X or the Nikon D4S, are typically made of a magnesium alloy. The important distinction to remember here is that material hardness is not always as important as shock absorption. A camera can be made of a very hard material, but if the internal components aren't braced well for shock absorption, they can experience very quick decelerations and high net forces that tear them apart in a fall. Material that deforms slightly can help to transfer the load around the body of the camera and avoid transmitting those forces to the internal components. Magnesium is stiffer, which protects internal components (particularly the LCD screen) from bending and shattering during shock and twist loads. It doesn’t deform easily, which is important, as circuit boards and glass panels cannot handle large twisting loads. It also tolerates high temperatures well, both from inside and outside the camera. On the other hand, plastic tends to bounce in low strength impacts and explode or crack in high strength impacts. I tend to prefer Magnesium because it tolerates day-to-day impacts better; it merely deforms (think about all the used pro-grade DSLRs you see for sale that are covered in small dents). That being said, plastic is not what it used to be. Engineering plastic is a modern marvel and I would have no qualms using a camera made entirely from plastic in all but the most rugged situations. Unless you’re frequently in high risk, high impact situations, you should be more than happy with either solution. 4. Heri: I am using currently the Sony A7 II and the Sony 55mm f/1.8. My interest is in natural light portraits, music, and event photography, sometimes also landscapes. Is there a killer combo (camera + lens (adapted or not) + lights) that you think would be killer for this kind of photography? Thank you! Hi, Heri! You’re more than welcome. Yes, there is a killer combo: you have it! 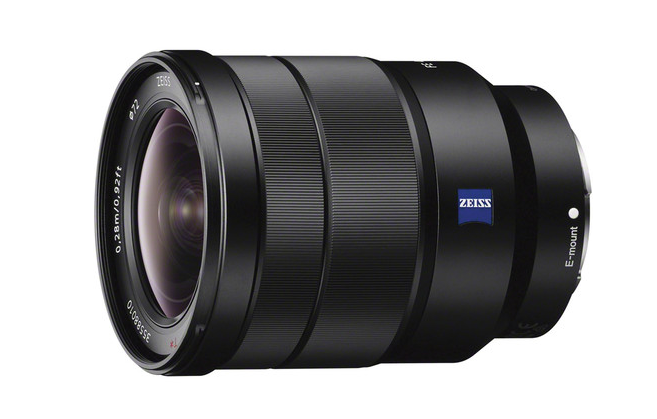 The A7 II is a fantastic camera that is highly regarded in the camera world, as is that lens. Personally, I think 55 mm is a smidgen wide for portraits, but a lot of photographers love the 50 mm focal length and do some beautiful portrait work with it. As long as you’re not shooting closely cropped head shots, I don’t think it’ll be an issue. For natural light portraits, the only piece of gear I might recommend adding is a reflector. Also, if you’re looking to make yourself stand out, I think this is more a question of style than gear, particularly with the kit you have. Have you checked out Dani Diamond’s new tutorial? He’s a master of low light portraits and can give you that edge you’re looking for. The 55 f/1.8 is also a good lens for music and event photography. It has a wide maximum aperture and a good focal length for shots of performers (I typically bring a 35 mm and 85 mm lens to small concerts). For landscapes, you might find that it’s not wide enough, in which case, I would recommend checking out the Sony Vario-Tessar T* FE 16-35mm f/4 ZA OSS lens, which is the standard zoom range for landscape work and an all-around excellent lens. Thanks for your question! 5. Chris: Should I get an 85 f/1.4 if I want to shoot fashion, and with an emphasis style in environmental portrait fashion shots where I do want the background fairly in focus or mostly in focus in some cases or would a 16-35 f/4 IS would work better for this including using the lens in other areas for my business, like video work (since it has IS)? Hi, Chris. No, I don’t think the 16-35 would be a good lens for portraits; it’s simply too wide and not flattering to the features. If you want more of the background in focus, stick with the 85 mm and stop down to f/8 or f/11 (but not much more, due to diffraction). The telephoto end of 16-35 mm might be acceptable for full body shots, but for me, 85 mm is the quintessential portrait focal length. 6. Carrie: I'm about to buy a 6D, but haven't done so yet, making sure I make the right purchase. I have been reading and searching and trying to figure out: Canon 6D or a 5D Mark II. I've seen some amazing images with the 5D Mark II and with the 6D. I have the sigma 35 Art; it's my baby and doesn't come off my body! I shoot maternity, children, and families. I don't have a camera store in my city, so I can't go in and test them both out. When we go on vacation, I could visit a store in Houston, but you all know when you want/need the gear, you don't want to wait, or at least I don't want to wait anymore! I know it's the glass and not so much the body, but when I see a 5D Mark II for a couple hundred dollars less than the 6D, I'm close to saying, “give me that!” But again, I don't want to make a bad buying decision. So, any thoughts? Suggestions? Is this a no-brainier and I'm making it difficult? Thanks in advance! Hi, Carrie! You’re more than welcome. My vote is for the 6D. The sensor is a couple generations newer and in my opinion, is currently the best sensor in Canon’s lineup. Its color rendition and high ISO capabilities are excellent. Granted, the 6D has a sync speed of only 1/180 s (an intentional handicap by Canon to separate it from the 5D Mark III), but as compared to the 5D Mark II, it has a fabulous silent shutter mode (I use it at classical music concerts), red-marked AF points, which make a huge difference in low light shooting, it’s smaller and lighter (and balances nicely with the 35 Art) and its ultra-sensitive (-3 EV) central AF point is the most sensitive in Canon’s current lineup. Furthermore, you can buy it new and still get a full warranty. All of this makes that extra couple hundred dollars worth it to me. 7. Dylan: I see a lot of bargain strobe lightbulbs and I was wondering if you guys have ever tried them. I'm not looking to replace a speedlight; I'm just wondering if they will add a little light to a room or bump up the exposure of existing light fixtures. I find that when lighting a set with strobes, one of my biggest issues is making the light fixtures look lit and I thought replacing a bulb or two with this might help. Any thoughts? Thanks! Hi, Dylan! I haven’t tried such bulbs, but my two biggest concerns would be power control and color temperature. First, most of these types of bulbs don’t feature variable power output and I suspect they could end up being too bright to be convincing. As far as color temperature, I would first make sure they match your strobes. Second, I suspect that they might be a bit too blue to look like a traditional incandescent bulb. They may work, nonetheless, but I might suggest as an alternative that you shoot the ambient light in the fixtures without your strobes, then composite it in afterward. Thanks for your question! 8. Chris: Here's a good question: how can you play with different focal lengths and lenses without breaking the bank and renting everything (even slowly)? I've rented a few in the past few years, but I want to play with so many before deciding to buy them, but I can’t afford to rent everything. Hi, Chris! Unfortunately, there’s no free cache of lenses and bodies for us to try. Renting is a great option, your other two methods are either going to a brick-and-mortar store, like B&H’s store in New York City, or joining a local photography club. Sometimes, local clubs will have agreements with local stores for discount rentals, or of course, you might be able to make some friends with whom you could swap lenses to try out. Thanks for your question! 9. Diego: I want to buy a good wide angle lens and I love long exposures. Which one would you recommend? I have a D750 and will mostly use it for landscapes and astrophotography. Hi, Diego! The Tokina 16-28 f/2.8 is excellent for astrophotography; all of the distortions that uniquely concern astrophotographers are well-controlled. As far as other suggestions, I wouldn’t recommend anything slower than f/2.8; that’s generally the upper limit for a good astrophotography lens, though with your D750’s excellent, modern sensor, you can afford to shoot at higher ISOs. 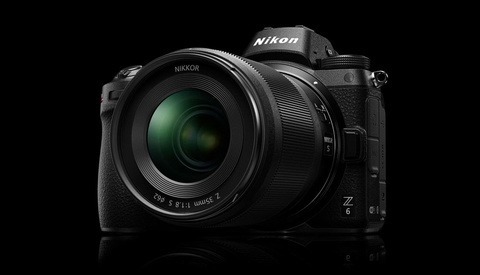 Of course, there’s also the legendary Nikon 14-24 f/2.8. I recommend you check out the Rokinon/Samyang offerings; they have an excellent 14mm f/2.8 (which I use for astrophotography) and a 24mm f/1.4, which is also tremendous. They are manual focus only, but this is fine for astrophotography and landscapes. For the price, they have some of the best optical quality to cost ratios out there. Thanks for your question! So, as we know it, with the release of "cheaper" Nikon full frame cameras, namely the D600/D610/750, are APS-C sized DSLRs getting pushed out of the market? To build up from there, will medium format become the new full frame, full frame being the new APS-C? For example, cheaper and older medium format cameras, like the Hasselblad H3D-39II, are still phenomenal cameras capable of producing extremely sharp results. You can own one of those for less than $8000 and have two leaf shutter lenses along with it. Of course, there are a lot of variables on whether medium format is right for everyone, the noise/grain being one of them (the transition to CMOS is helping this). The other would be the convenience stand point, but I think most people who will be looking to upgrade to that much quality would already know what they're getting themselves into (and I think the CMOS vs. CCD solution will solve much of that problem). Thanks! Hi, Jay! This is an excellent and thought-provoking question. Actually, no, I don’t think we’ll be seeing the death of APS-C anytime soon; in fact, I think we’ll be seeing a surge in its popularity. Over the past two years or so, the image quality and high ISO capabilities of APS-C sensors has skyrocketed, meaning many photographers now have sufficient image quality in a smaller, more convenient package, with better portability, cheaper lenses and dare I say it, more fun. It’s also important to remember that many people prefer the crop factor. Bird photographers are a great example. When your work calls for extremely expensive super-telephoto lenses, that crop factor can be the difference between needing a 400mm or a 600mm lens and saving a lot of money. In fact, a few years ago, when Canon introduced the 1D-X, many wildlife photographers were upset that the APS-H format (1.3x crop factor) had been discontinued for exactly this reason. 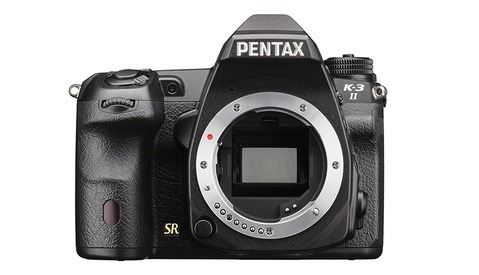 This isn’t to say APS-C is becoming the new full frame, either. Full frame will always offer better depth of field control and low light capabilities, simply because no matter how good technology gets, physics will always be there. I also think that full frame strikes a good balance between, convenience, relative portability, image quality, depth of field control and cost. Medium format is still prohibitively expensive for 95% of people. Cameras like the Pentax 645z are a wonderful step forward (though it’s not a full size medium format sensor at 44 by 33mm). As you mentioned, the inclusion of a CMOS sensor, as opposed to a CCD sensor, have made medium format cameras highly competitive in low light situations and largely freed them from the confines of controlled lighting. However, things like autofocus, tracking, write speeds: things where efficiency, speed and precision matter are all still ruled by the smaller sensor sizes. Medium format is still a slow and methodical way of shooting; it simply can’t handle high speed applications like sports shooting. On top of that, it’ll always take a certain size body to house a sensor that big and for many people, that’s just too large. I think all three sensor sizes are going to remain relevant in their own ways. APS-C will see a renaissance as a portable and newly capable (and professional) format, while full frame will remain the professional, do-it-all standard. 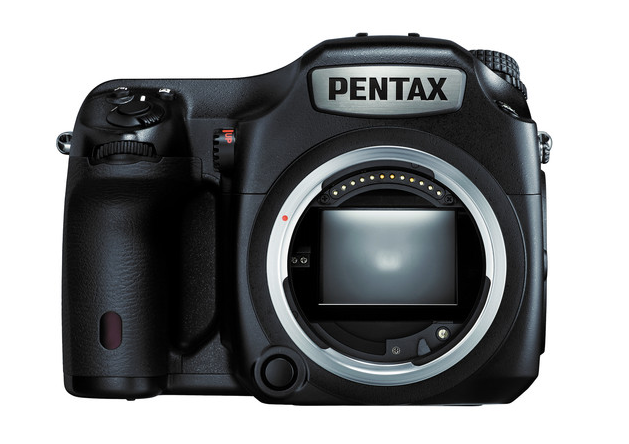 Medium format will retain its place as the ultimate in quality, but we’ll also see a small market share taken up by cameras like the Pentax 645z that behave more like oversized full frame DSLRs. Get Your Questions in for Next Week! Now, it's time to get in your questions for next week's Gear Tuesday! 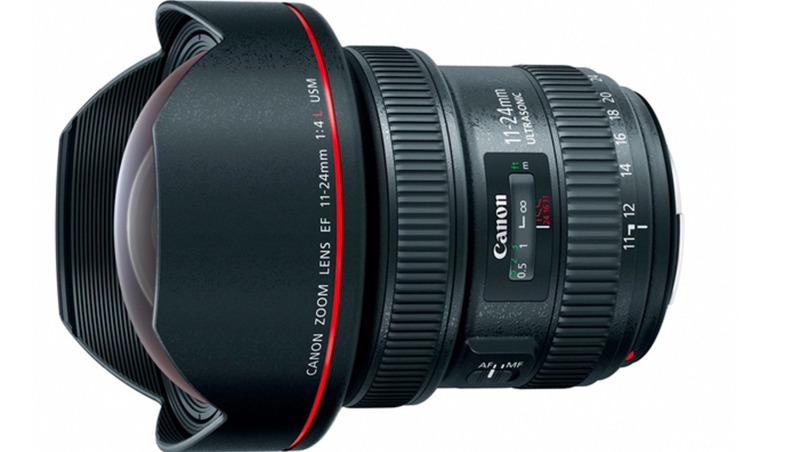 Are you shopping for a new lens? Wondering what the difference between a CMOS and CCD sensor is? You've come to the right place. The camera world is filled to the brim with equipment, science, and technology and we know that navigating all the options and mastering all the technicalities can be quite an undertaking. To help you on your journey, each week, you can submit any question you have, from which we will select 10 questions to be answered in the following week's article. This is a great opportunity to receive gear recommendations and gain technical knowledge that can better your photography! Please leave a comment with your question by Saturday at 12 p.m. EST. Look up the astrophotography video review of the Nikon 20mm 1.8. In my opinion it produces much better images than my 14mm Rokinon with far less distortion (almost none!) and chromatic abr. I think it will prove itself to be the best lens for what you are looking for. I own all of the lenses Alex mentioned (excellent answers all around btw) but feel that the light fast 20mm is the best. This week I was wondering whether photos left on a CF or SD card can degrade or become corrupted over the course of decades since it is flash memory (Doesn't RAM flush everything on it once the power is cut for a while?)? I recently found an SD card from over ten years ago and I couldn't read it. Some manufacturers offer lifetime warranties, what are we to think of those? Thanks Alex for response to my question about the monolight for Sony camera. As I'm currently using the Sony A77II and soon will be A7rII. I own 2 speedlights (Sony and Metz which both work fine) but would like to know more about the monolights that would work in HSS. In addition, I would like to bring monolight to locations for shooting. Thanks. 1) Shoot in a dark(ish) studio (or anywhere without bright ambient light). Use a longer shutter speed (say, 1/2s or longer), stop down the lens a lot. Freeze action with a monolight that has a short duration flash. see: Paul C. Buff's Einstein - the first to have an IGBT circuit and, I think, still the most affordable. In "Action" mode, you can get as fast as 1/13,500s. 2) Shoot wherever. Get some HSS-capable Pocket Wizards. Use a monolight with a LONG duration flash. Depending on the monolight and camera, you can speeds shorter than 1/5000s. Hi everyone! I shoot with the 7DII and I'm thinking of selling my 17-55mm 2.8 for the Sigma 18-35mm 1.8. I love how the 17-55 has IS and F2.8 however, the auto-focus can be inconsistent at times. Micro-adjustment doesn't seem to help the issue very much. I shoot portraits, weddings, events, and football on occasion and I already have good telephoto lenses and a great ultra-wide lens, I'm just wondering what everyone thinks about it. Thanks! I have 3 monolights from interfit and just want to upgrade to a power pack. I usually shoot in studio so I don't need that much power. Whats a good upgrade that wont break the bank? I have been shooting Minolta/Sony for a long time and have a hefty investment in full frame A-Mount glass. I have been using Sony alpha bodies with the normal A-Mount but they are getting older and the new A7 series has some really attractive technology. If I make the jump to the A7 series and want to use my A-Mount glass with the adapter, what are the drawbacks in terms speed, image quality, or other functionality that I should be aware of? Thanks Alex for answering my questions! I don't have any questions as of yet though, but when I will I'll post it! It would be great if we could also start a weekly technique thread. There are lots of forgotten articles on this site that could be revived this way. Excellent article, Alex. Giving back is a great way to show support for current and next generation photographers. I'm with you on the low ISO options... but I disagree about going back to manual cable releases. But maybe you could DIY a cable release with haptic feedback to give it the right "feel"? I'm currently using my 70-200 f/4 as a walkaround lens next to a 50 1.8 on my 6D but I wanted to upgrade to the 2.8 version without IS, is it really worth the money to get the 2.8 without IS. Is the image quality equally as good, and does the extra f stop make that much of a difference in lower light situations? Or is it maybe better to even go with the Tamron version of the 70-200 2.8? If you can't afford the Canon 70-200mm F2.8L IS II, then get the Sigma or Tamron F2.8 with IS... they're just as sharp as the Canon mk1 (the mk2 is noticeable better in several regards), much cheaper, and you'll be shocked at how much you'll love the IS at 200mm. Another option is to pick up a used copy of the Canon 70-200 F2.8L IS mk1, the L series hold their values amazingly well on the resale market... probably better than any other 35mm stills lenses. Alex provides some valid answers to Jay's question about APS-C, 35mm, and medium format. Here's my perspective: When I was researching which DSLR camera to buy in 2013, I was weighing the affordability of APS-C vs. 35mm. I've been shooting film (35mm) since 1980 and I bought a used 28mm lens in 2012. That became my favorite lens. Depending on whether one is shooting wide or telephoto, one is either cheated or cheating. Shooting wide, I would feel cheated shooting with a 28mm on an APS-C camera; that has a near normal focal length of 50mm (44mm to be exact). However, on the telephoto side, photographers generally appreciate the extra length that an APS-C camera provides. I went with the full-frame DSLR. Engineering plastic is fantastic if you’re frequently in high risk, high impact situations. Some of these plastics are really durable, which is fantastic if you are a bit of an adrenaline junkie! I am based in india. i shoot mainly fashion , beauty and weddings. i have a canon 600d with basic kit and a tele lens and a 50mm 1.8. but for big gigs i rent a full frame camera. i am planing to buy a full frame dslr, but stuck in choosing from 6d and 5d mark3 there is a significant price difference for me between the two. my inclination is towards 5d mark3 as i also shoot behind the scenes footage for other photographers. kindly can you help me which would be the best option for me in this situation. I'm looking at purchasing a macro lens for my nikon D7000. I currently use extension tubes but one of my friends has suggested getting something like the sigma 105 and using it in conjunction with the extension tubes to get even closer than 1:1. What are your thoughts ? Is there a better lens ? Hi, I live in the suburbs so a lot of my photography is at parks, playgrounds, traffic intersections. I'm using a Sony A7 and have a mount for Nikon F and Pentax K. I've got a 50mm Pentax and a 24mm Nikon lens but am looking for something a bit longer. I've done alright with the 50 but want to be able to fill the frame a bit more. I was thinking an 85 so I could also use it for portrait work but not sure if it'll fill the frame enough at parks / playgrounds / youth sports. What prime focal length would you suggest for taking shots of things like little league and street basketball keeping in mind I'll be shooting Manual Focus? I would definitely recommend something longer for sports - perhaps a 135mm. That's still a great length for portraits, and it'll get you a little closer to the action.